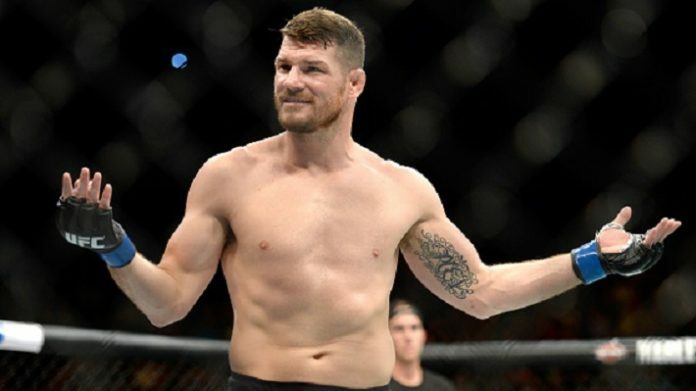 Michael Bisping fires back at Colby Covington over the interim welterweight champion’s diss video. There has been an odd rivalry brewing between Bisping and Covington. Things got ugly between the two during the UFC 225 post-fight show on FOX Sports 1. Covington ripped the FS1 panel for predicting Rafael dos Anjos would beat him. Bisping took exception to this and the two traded barbs throughout the interview. Covington will be stripped of the interim UFC welterweight title once Tyron Woodley vs. Darren Till begins. Those two will collide on Sept. 8 in the main event of UFC 228. Covington was on tap to take on Woodley in a title unification bout, but he couldn’t compete due to nasal surgery. Do you think the beef between Michael Bisping and Colby Covington has an end in sight?